Listen to "How to sail the world on cruise ship to train Jiu Jitsu, roll with strangers when traveling." on Spreaker. Intro: You’re listening to the BJJ Globetrotters pirate radio podcast, brought to you from St Bart, West Indies. We talk Jiu Jitsu, travelling and people who do things differently in life. I am your host, Christian Graugart. 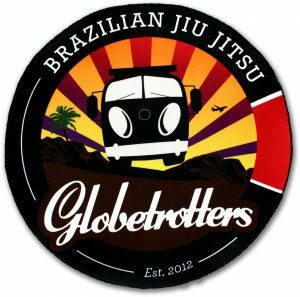 Christian: Welcome to episode 8 of the BJJ Globetrotters pirate radio podcast. For this episode I’m going to run an interview I did with a guy who came to visit me here in St Bart for training. His name is Raymond, he’s working on cruise ships, and has been doing that for 18 years. He’s been sailing all around the world and always bringing his Gi trying to find places to train. I think it was a really interesting story he had, and I brought my little microphone with me when I went to pick him up at the harbour and train with him during the day. I often get questions from people about how can I afford to travel a lot and train and not have a job, you can do nothing but fly around the world and train Jiu Jitsu, and obviously there are solutions to this, some easier than others but one would be to find a job that includes traveling where traveling is part of the job, and working on a cruise ship is definitely one of these. I think it’s very interesting, I don’t know much about cruise ships myself. I had never actually been on one until a few weeks after Raymond was here. But I never thought about that option for travelling. So that’s an option if you’re looking to travel the world and train in a lot of different places. But let’s run the interview and I’ll get back to you as soon as it’s over. Enjoy. Hello everyone, I’m on my way to town to pick up a guy who works on a cruise that has just docked here in St Bart. So I’m going to see if I can find him. Apparently he’s been working on cruise ships for a while, he was supposed to come here a few weeks ago but the waves were to high so they couldn’t get to shore so he’s here again and he wants to train Jiu Jitsu. I always think it’s nice to have visitors on the island because we don’t have a lot of people to train with here, so whenever someone who trains Jiu Jitsu is on the island, I always try to make time for them so it’s Wednesday 11 am, I actually said I’d pick him up at 10:45 but as always I’m a little bit late. I’m getting accustomed to the Caribbean time here. So I’m just driving down the hill from where I live and picking him up by the ferry. It’s around 5 minutes from here. So I was kind of curious about this guy, I thought it would be interesting to bring my little microphone and have a chat with him and see if it was worth making a podcast of his story. So apparently he’s been sailing around for 18 years, been doing Jiu Jitsu for 6 years I think he told me, and always tries to find a place to train wherever he goes, and now he’s in St Bart and we don’t have a lot of sparring partners so I’m very glad to have someone on the mat, so I’ll be very happy to take him to the gym and go a few rounds. Perhaps some of the local guys will show up, we’ll see. I am now entering the town of Gustavia, I can actually see a big cruise ship out there anchored so I assume that’s his. I just need to find some parking, it’s a beautiful day in February. I can’t believe it’s already 2 months into this year, there’s no seasons here or change of weather, time is just weird, 2 months feels like a few weeks because nothing changed. Ok I’m here by the ferry, I will find a place to park, I just need to find a guy with Gi. There he is, I see him already. Alright this has got to be it, I’ll go see if this is him. Hey Ray. How’s it going man? Ray: Hi nice to meet you. So you don’t mind hey? To train today. Christian: No, not at all, get in the hurricane mobile. I’m always happy to have some guests here. Ray: I think I have a few more times here and I think I have 1 overnight here. Christian: Oh ok that’s nice. It would be nice if you could come visit during one of the evening classes with the locals because obviously everyone is working now. I think there might be 1 or 2 guys showing up today. It depends on the waves. If the waves are too good they’re not doing Jiu Jitsu. Christian: Yeah exactly. That could be a good t-shirt actually. The podcast is kind of a new project, but I enjoy doing it. If nothing else, it at least gives me an excuse to ask people their story and stuff. Ray: If I tell you my little story of what you did for me, you will not believe. Before I spoke to Matt a couple of weeks back, I was very unhappy and all that stuff, I wasn’t in the right place. Then after we met, I went online, after we spoke I went to your site. I was listening to you story and you were trying to hook up but I couldn’t hook up your side, and you said to me, go listen to my podcast, I have a podcast series. I watched the one where you were an entrepreneur. Man you changed my life completely. Because I swear to you man when I listened that about if you want to be an entrepreneur, go get the books and study, so I said effort, I’m going to do it. I started to do it, I changed my ways, I listened to all your ideas. I’ve got like 6 books that I’m reading at the moment. I listen to entrepreneur podcast every day. You’re like a mentor to me because you do BJJ, you do all the cool stuff, you live a great life and you’re an entrepreneur so in fact you are everything in a person I was trying to look for in my life to find to drive or something to go towards. So I just want to thank you man. Although silently you didn’t know any of this. Christian: The expectations are so high now, I might be a douche bag. We’ll be rolling in 10 minutes and I might be an absolute idiot, like knee on face. You know I just sit in my basement and record that stuff. I can see there has been quite a few listeners, it’s a new project and you kind of never really know. It’s nice to just meet someone random. It’s like when I wrote that book, I was just sitting at home writing it for myself pretty much, and then suddenly you meet someone who actually read it, and you’re like wait, wait did someone actually read that? So you must have been seeing a lot of the Caribbean? Is it like a week circle thing? Ray: It depends, some of the cruises are normally 7 days, like they’ll pick up guest at Fort Lauderdale and go to saint Juan, and all the beautiful ports and then land up back at the same place and drop them off, do it again and again and again, for a couple of months, then they’ll change the itinerary, which their embarkation port will be Barcelona, pick up a few people, maybe do a 10-day cruise. It all varies ship to ship. It depends on the ships and the size of the ships. Some ships do the same place continuously the whole year round, like Disney, they just stay at 1 place. So yeah I’ve done this for 18 years, I’ve been all over the world. Christian: How old are you? Ray: I’m 38, from South Africa, Cape Town. I started when I was 21 back in South Africa. I was getting naughty and all the trouble I was getting into, I decided to work on the ships. Christian: Let’s hear more about that. Let’s get in the gym and see if we can get a few rolls in. Alright so here we are. Alright let me put on some music. Roll first, talk later. Poor ray, we’re just taking turns on him here, he looks tired. This is boat cardio vs island cardio. Ray: But I’m telling you man, when you travel, you’re training at all different clubs, it’s unbelievable because like from today I just learned from you that passing the guard technique and I’ll remember that forever. So every club that I go to I always find 1 move that that gym teaches and I always remember it because I think of that gym. It’s really amazing, some gyms do crazy things, some people are thinking out the box, like brazil. I nearly vomited when I went to brazil, it’s just too much, it’s like the small dojo I went to, was smelly, sweaty and damp, just pick each other up, run across the room, drop each other, pick up weights, run there, do this, just drill, drill, drill. I’ve trained many places, and they’ve been very nice, and I give the respect back to them, I offer gym and accommodation in South Africa, because I want people to come there, it’s a beautiful country. We have good training sessions. Christian: You grew up in South Africa? Ray: Yes, I grew up 36 years in Johannesburg, then I moved to Cape Town 2 or 3 years ago. I’m half Lebanese half Jewish, what a mix hey. My mom and dad when they were young weren’t allowed to be together, they ran away from their families so they could be together because they were enemies I presume. So my mom and dad immigrated to Israel, because it was a better benefit for them compared to South Africa’s pension. So they went there, then I went there, met some guys and learned Jiu Jitsu there, that’s where I actually got into it, and from that day I loved it. I was training morning and evening, I was training with black belts, purple belts, brown belts, I was the only white belt. They would train with me in the morning but I was getting smashed but it was so fun. After that I went back to Johannesburg and trained at a club called tap out, got my blue belt and from there went on the ships. Christian: How did you end up with your boat life? Ray: I was one-day sitting with my mom and dad, they had a business, a cobbler shop in west gate in Johannesburg, and I was in a very bad environment, drugs, doing naughty things, I was 21 or 22. I sat there against the wall, I’ll never forget, reading this article in the newspaper, work on cruise ships, call this number and I was like I’ll give it a bash. I got an interview, got a job as an assistant waiter on royal Caribbean, went on board in 2001, I was an assistant waiter for 4 months, it was terrible work, then I got promoted to a waiter for 2 more months, and then it was time to go home, but instead of going home, I decided to change position to do broadcast so I had to stay an extra 2 months, broadcast is like a TV studio, I controlled the TV channels, do all the filming, all the editing, all the video, audio and satellites. Then I worked there for 5 years on royal, then 5 years on region, 4 years on Disney, 3 years on princess and now on the silver seas I’ve been there for a year. Christian: Where did you sail? Ray: Everywhere, I’ve been everywhere, the Caribbean, Mexico, Europe, Brazil, North America, only Antarctica I haven’t been and some inland places because ships don’t go there obviously. Even Hong Kong. Christian: Did you sail all the way to Hong Kong? Ray: Yeah the ship normally does the crossing of 8 sea days, it’s hectic, 8 long days, from wherever it is, it depends, like from Africa you just cross the sea, it depends where the ship is sailing from or to. Sometimes you do the world cruise, which does it in a certain amount of days, it does this whole itinerary, like an overnight in Greece, overnight in Barcelona, overnight here, all over you have over nights, and that’s when I go look for jits. Christian: Do you manage to find things most places? Ray: Always, most of the places I do, it’s the quiet small places I don’t. but like Colombia I had an overnight and found some place there. Most of the places, even St Martin, but every time I get there it’s flipping kick boxing, so I’m like I don’t want to do kick boxing so I don’t do it. Christian: How is living on a boat for 18 years? Ray: It’s not fully 18 years, you go on for 4 months you’re off for 2, sometimes you work for 3 or 5 months, then you’re off for 2 or 3 months, it all depends on the schedule. Christian: So when you’re off for those months do you do anything? Ray: Yes, I go home and spend time with my daughter and I do Jiu Jitsu and hang around with friends, do some extra work, do my own little things at home, and when it’s time to go, I go back again. I have a 4-year-old daughter named Yazmin, I took her to Jiu Jitsu at the age of 4 and got her dressed and had her doing forward rolls, it’s so cute man. Christian: How is it sailing away from your daughter? Ray: It’s terrible man, it’s the worst feeling in the world, but it’s for a good cause, the money on the ships is amazing, I’d never make this back home. Whatever I’d make in my country, times 3 on the ship. Christian: So when you’re off the boat you don’t have to work? Ray: No, because if I’m saving the money, I have a lot of money. Christian: Do you spend any money on the ship? Ray: No you don’t need to, because you get food for free, accommodation for free, your laundry is free, and when you eat it’s a buffet, you get all the fruits, all the salads, all the meats, all the desserts, all the drinks all the coffees. So the food is not an issue, your cabin gets cleaned, you get benefits. Certain officers can use certain lounges, eat in certain places, get coffee in certain places. But if you’re crew, it’s not so good, you can’t go anywhere and have to share a cabin with 2 to 4 people in a cabin. Can you imagine? 4 people in 1 little box like this, 2 on the top and 2 on the bottom and you share 1 toilet. We as the officers get our own little place to eat and some ships are different to others, Princess for example you go in and you get a menu and you get served, you can order wine, you can have beer. Now I eat in the officer area, but we don’t get served, we dish up for ourselves in the buffet. Christian: So what ship are you on right now? Ray: I’m on the silver seas, and the ships name is the wind, it’s the smallest and oldest of them all, and it looks like it’s falling apart. I’ve requested not to go back to it, because the small ships are not good for me because now I have to share a cabin, because there’s not enough room, and on the other ships I don’t share. And the ship is so old, it’s rusted and falling apart. The newer ships go well, nothings breaking, here everything is running on thread. Christian: Do you ever get caught in really bad weather? Ray: Yes, I’ve had many experiences, shaky seas, rough seas, things are falling and breaking, you’re walking and trying to go straight but you’re falling and hitting the wall on that side. I remember on one new year, it was 5 minutes to new year, we’re all in the crew bar partying, everyone is drunk and we hear assessment party! Assessment party! Report to deck 5 aft zone 3, so the crew all continue to party and we hear the alarm go so we have to go to our crew stations, everyone is drunk, they’re carrying bottles of booze with them to their stations. We all get to our stations and everyone is pissed and we’re laughing although it’s serious. Someone was smoking and flicked a cigarette in the back where the propane tanks were and a fire started, 10 minutes later they fought the fire and killed it. The next day we docked the ship and went to look at the back of the ship and it was just black and all burned. Luckily the propane tanks didn’t blow up otherwise we would have been at the bottom of the ocean. And sometimes they have a dry dock, where the ship goes into a dry dock where they have to fix the ships, there’s no AC, no toilets, it’s a dump, people sleep on the outer decks, there’s paper and dirt and people drilling, it’s a dump. So I don’t recommend that for crew members. Christian: So where are you sailing right now? Ray: we’re currently just sailing the Caribbean, and our embarkation port is San Juan where we pick up and drop off, and we do that 1 or 2 more times, then we have 7 or 8 sea days and then we’re crossing over to Barcelona. Christian: So there’s only one place where you embark? Ray: Yes, there’s one place where they come on and off. Christian: Because we were thinking of going somewhere, and with kids you don’t want to have connecting flights. I was looking for something from St Martin but I couldn’t find anything. Ray: You’d have to fly to San Juan or Fort Lauderdale. Christian: I was thing Guadalupe is perfect because the flight lands 5 hours before the ship departs. How long are you going to keep doing this? Ray: One more I think. I’ve got a plan because of you, you changed my whole life, your podcast, you know that moment, it happens in a split second. When I heard your podcast it changed my whole perspective of life, I started to pursue entrepreneurship now. So I’m going to do this crew thing. But I’m also doing many things, kimonos. I see you also do them, I’m going to try import from Alibaba, and then do it in my country. So I’m trying to do multiple things because as you said, if you have one person who controls your life and your job and he just one day says cheers you’re gone. That just opened up my eyes. I have no regret, but I wish this happened to me many years ago, but it’s not too late, like you said there’s still plenty of time to plant your trees. Christian: So how many places do you think you’ve trained on the ship? Ray: So many man, sometimes I just forget, I just search and search. So here’s the itinerary. so I’ll be back here on the 16th of March. I’ll do Jits until my knees pack out if that happens. Christian: You got think long term about your health because some people are just too eager, they have an unhealthy style. Ray: Food wise I’m always trying to keep healthy, it’s just part of my regime. On odd occasions I have bad stuff, but that’s just life. Christian: I mean the approach to training and rolling. For many years I was constantly injured, I had every single injury you can imagine. I trained, competed and taught Jiu Jitsu for 12 years, that’s all I did, nothing else. I had no job, I was just doing Jiu Jitsu. I mean we built up a pretty good gym, I had it for over 15 years. And with the guys I know really well I’ll train really hard, very competitive, but with people I just meet I do a completely different style, like counter boxing, I approach it more like surfing, there’s a wave coming and I’ll see if I can keep my balance and do a few tricks, I’m not going to fight the wave you know. Jiu Jitsu kind of came full circle for me, because in the beginning when I was 18, I wanted to learn how to fight, to fight someone, but then I realized I’m never going to fight anyone unless I look for a fight, which would be kind of stupid, so it became a sport, because then you can fight without being an idiot, and so it was a sport for many years and then it became more of a teaching thing where I was teaching Jiu Jitsu, and now it’s just fitness, it’s the only hobby or physical activity that can really keep me interested, and my approach is way off competition, it’s more of an art now, it’s kind of a gentle art, it’s cheesy to say but it’s become a gentle art for me. So what I was saying about thinking long term about Jiu Jitsu is that I was injured all the time, because I had these long periods of training all the time, and even if I’m not competing people were training super hard with me for competitions, and then I was injured for a year and a half, sitting on the mat every single day teaching, coaching, watching people roll and going to competitions but I couldn’t do anything myself for a year and a half, and I thought to myself this can’t be right. I was like 30 or something, and you know they say when you turn 30 that’s when the injuries come, the weekend I turned 30 I got super injured. It was a slipped disc in my back, and then I looked back and realized every single injury I had was from pushing myself to the limit. And I guess by definition an injury is your body reaching the limit and going above the limit and it saying ok stop this part of your body is going to be inflamed for a while so you don’t move it, that’s what your body tells you because you went too far. So I made a decision, everything I do will be 80%, never more than 80%, that’s the maximum. So if I can go 100% I’ll go 80%, I’ll go 30% or 40% with somebody I don’t know, if I can go 5 days I’ll go 3 days, if I can go 10 rounds I’ll go 8, if I can do 10 pull ups I’ll do 7, I’ll never go more. And I haven’t had an injury since, almost 4 years, I’ve not once had a single injury and before that I was struggling and constantly in physiotherapy and rehab. I owned a cross fit gym for 6 years, I never did a single lesson, I just did rehab. Ray: It’s hard sometimes, because when I travel and go to new gyms, they see a newcomer and you get the guys who see here’s a new guy, let’s see how good he is, let’s push him. And you always get that one guy who uses all his power and all his tactics just to get you, and he uses so much strength to get you and you have to use his game to get through. Christian: I’ve met all of them. You know what the trick is, I just tap out to them and when the round is over I grab someone else. I never fight back, because if I do then I can’t do 10 more rounds, I’d probably beat unless they’re young and train a lot. Ray: I just let them do their thing and get into a ball and then let them do their thing and if I get the opportunity I’ll go for it. Christian: It’s an important skill for the traveller, a travelling Jiu Jitsu practitioner is different, it’s kind of dodge. You’re in the water and the big wave comes, don’t try to ride it. I think in the beginning I was different, when I was doing the world trip, I was fighting way harder, but it kind of developed, and I try to go as fluent as possible, so it becomes and art, a gentle art of violence. But that is what Jiu Jitsu is, at the end of the day, at the essence of the core, it’s trying to use as little energy as possible to control aggression. So of course you need to get to a certain level of competence be you can actually try it. And you know it kept me off injuries, that’s the most important thing, I can train 3 times a week with the guys here, and I stay in good shape. Ray: I don’t like to get injured, I rolled with a brown belt, he was like 95kg. and I don’t know what happened, and I was rolling and making him work for his money kind of thing, and he arm barred me and I turned and he stretched out and broke my ribs, and I was so angry when I stood up and went for him. You can see there’s a lump here, it’s never gone away, you can see my ribs are out of proportion, forever damage, 8 weeks I was out. It’s not worth it. I had another guy also, I said to him I’m very hard to choke out, because I have a very strong neck, so this guy he thought so this guy wants to act like he can’t get tapped out. So what does he do? We roll, he gets me, man he chokes me so hard, he nearly breaks my oesophagus. So I had to go to the hospital to check if anything was damaged. This guy was just an angry soul or maybe didn’t have any love at home or anything or he was just trying to prove a point. But I also notice when you fight bigger guys that’s where the injuries come, when they’re 5kg or 10 kg heavy than you that’s where the injuries start, because it’s the weight distribution, it really affects you, maybe I’m wrong but that’s what I notice when I fight bigger guys, you have to push harder, maybe at my level, but at your level you know how to handle the leverage, it’s a skill, but I’m not there yet. And when I fight bigger guys, the weight plays a huge part for me. Christian: So you know with big guys I’ll see how little energy I can spend on defending myself, on not dying, not drowning, if I can i just stay afloat. And then if I want to try my escapes, and my frames and my power passes, I’ll do that on someone else. I have one guy here who is really big like 120kg, but I play a completely different game with him, can I keep him in my guard with minimum energy and if he’s passing, can I stay comfortable under all the pressure, because he’s going to squash me, he’s a beginner but if he puts all his pressure I’ll probably tap just from his weight, so he will provide me with the practice of just staying calm under pressure, because that’s a separate skill in Jiu Jitsu. You’re never going to be able to always move, it might not necessarily be a big guy but someone who is just as good technically on the top position, and then you better pull that skill out your pocket, being calm under pressure and not necessarily get out but survive. Alright, you have any plans for today? Ray: No, nothing. How far is this juice place? Christian: Oh it’s in town, I’ll show you. We can go there now, let’s just lock this place up. Ray: Thanks so much man. Christian: My car is one of the most disgusting cars on the island. Ray: I don’t even have a car, I’ve got a 2001 fiat, it’s an olden day car, a hatch back. Christian: We had that hurricane here 5 months ago and the cars took such a beating, but it’s still driving, it was full of broken glass and leaves for a few months but it got character. Alright let’s see what we can find here. So here’s the juice bar, formerly known as Toms Juice bar. Ray: It was unbelievable, thank you so much man. Anything you need man, let me know, I’ll email you the itinerary. Christian: Yeah sure, I’ll be here so just let me know when you’re here next time. Ray: Awesome my man, god bless. Christian: Enjoy the ice cream, see you man. Alright time to get home and have some lunch. That was the visitor of the day. We don’t get a lot of visitors; I mean there’s a lot of tourists on the island but I don’t get a lot of Jiu Jitsu visitors, so that was really nice. He had really good game, finally someone with really good wrestling, that’s not something you find often in the Jiu Jitsu world. I enjoyed that. Alright I’m going to check out from this episode, going home to get some lunch, get in the basement and do some work on the new globetrotter’s project and then go train tonight and hopefully get some more visitors. If you ever want to come visit me here in St Bart you’re most welcome. Obviously we have the camps but I welcome visitors all year round so if you’re in the area or if you just want to come over for training, or sightseeing or a holiday you’re most welcome, I mean it’s fairly easy to get here from the US or Europe, just let me know. We don’t train a lot but we do train a few times a week. I’m pretty much always here when there aren’t globetrotter’s camps. So that was Raymond visiting here in St Bart about a month ago. If you want to know more about working on cruise ships, I recommend checking out his website. He’s actually setting up a community like what BJJ globetrotter’s is doing for Jiu Jitsu, but it’s just for people working on cruise ships. So you can take a look at crewlife@sea.com and there’s also a Facebook group. I think it’s an interesting world that I knew nothing about until I met this guy, and I’ve been looking into it, and it’s definitely something interesting if you have time for it in your life. 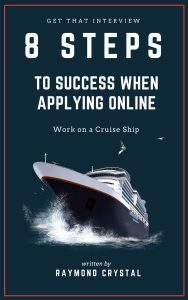 Anyways his website has all the tools to help you apply to cruise ships and figure out which ones are good and bad, and there’s a lot of advice if that’s a career you think you could go for. So check out crewlife@sea.com for his website. So for the question of the day from our Facebook group BJJ Globetrotter’s, the question I picked for today is “can you tell us about the process of moving to the Caribbean?”. I grew up in Copenhagen, Denmark. I lived there all of my life, and recently about a year and a half ago, I managed to move to St Bart in the French West Indies, it’s a small island in the Caribbean that belongs to France. People ask me all the time, why did you choose that island? I actually didn’t, the island kind of chose me. I didn’t directly look for places to live, but what I did was I put a lot of effort into purposely directing my life that should any of these opportunities present themselves I would be able to take them. So you could say I wasn’t looking for it but I prepared everything for it to come to me. Sometimes I think I was lucky, but on the other hand there was zero luck involved getting here. One thing that is important for things like this, that I found for my own life, in order for anything like this to happen, as I talk about entrepreneurship, nothing happens from one day to the other, it’s a process of a lot of little things being done over a long period that eventually leads to opportunities presenting themselves and you being ready to take them. I made a decision a few years ago to free myself from being chained to one location. i started to build a non-location income source that would eventually turn into something, that’s what I set my mind on. Trying to build an income that’s not depending on me being in one location, that turned out to be BJJ Globetrotters by a random chance. And also I tried to give up a lot of things, I put a lot of focus into buying less things, owning less things and not being owned by my things. I didn’t move to a bigger apartment even though I could probably afford it, I didn’t take loans for anything or buy a big car, I just lived a very simple life so I could leave at any time. I didn’t have any obligations or anything I had to pay off. So if an opportunity presented itself I’d be ready to go. And one of the most difficult things to let go of was the academy I had in Denmark. I started that in 2003 as a blue belt with a friend of mine, we built it up from basically nothing. We were 5 guys training to having more than 700 members at some point. It was probably one of the most difficult decisions I’ve ever made, to let go of it and sell my part in it. But in the moment I made the decision, I realized that was absolutely the right thing to do. It was such a relief to not have that burden anymore, I actually started showing up to teach just because I enjoyed it. There were no emails or accounting or any of that stuff to do. It was a huge relief. So I let go of all these things and started to build an income source and not chain myself to any big expenses or mortgages or anything like that. So that’s what I did, I did everything to prepare for the opportunity for when it presented itself. In a few days I’ll be off to the US camp in Maine, it’s a place I’m always excited to go back to. And people always ask me why did I pick Maine of all the places, and again I didn’t really pick Maine. I thought if I was going to do anything in the US it was going to be different, I didn’t really want to do a city camp because it’s often the cities are kind of spread out, and the social aspect and travel aspect is very important for taking you out of your comfort zone, I was just looking for a great place and we found a place in the forest in Maine. We did it in New Hampshire for the first few years, then moved to a better facility in Maine. We upgraded, we’re going to have as much space as Belgium which is a huge camp. We’re going to be 165 people. I’m very excited about it, I’m going to bring my microphone to see if I can catch a few interviews which some of the interesting people there. And that’s it of episode 8 of the BJJ Globetrotter’s pirate radio podcast. If you want to listen to any other episodes just look it up on iTunes or you can just go to BJJGlobetrotters.com/podcast. I hope you enjoyed this one and will return with episode 9 shortly and hope you have a nice day and don’t get injured. 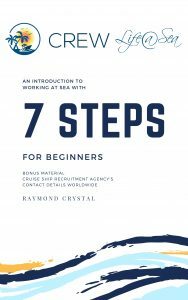 Download an informative Ebook on the 7 steps towards getting employment on a cruise ship. Plus Bonus Material of over 50 Cruise Ship agency's contact details and emails. Want to work on a Cruise ship ? Join our informative group and engage with others in the community. Dont be fooled by Scammers !!! Need a Cash Loan ?